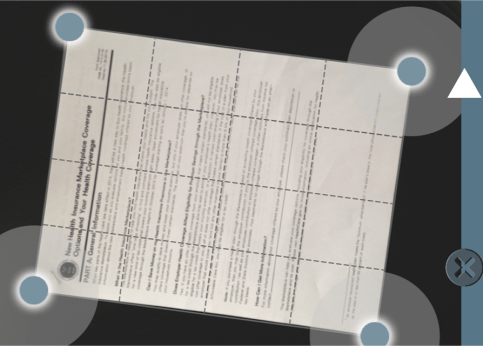 Until not so long ago, the act of scanning a document could serve to be one laborious task. However, with the emergence of mobile applications, a new solution for daily office activities, AirScan Mobile, eliminates the need for large, bulky scanners or multi-functional printers with scanning capabilities. However, just as it is in the case of many other arenas, today’s fast-paced technology is swiftly changing how scanning is done. This mobile application leaves many users marveling at not only its features but its incredible functionality. 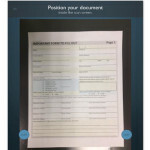 The convenience of scanning a document with your mobile phone is part of technological revolution of today. Today’s technology is excelling in its purpose to make things easier. The AirScan Mobile app is helpful for professionals and organized persons who wish to scan, share, sync, print and effectively manage their important documents. Its unique features include its voice command feature, multiple platform sharing options along with the highly customizable option for users to adjust the angle in order to capture the exact dimensions of their documents. AirScan Mobile makes the average employee look incredibly high tech. 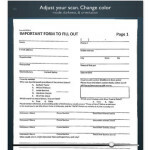 It is customized to scan various size documents such as receipts, agreements and contracts through your smart phone. 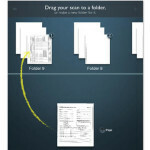 It also allows the user to save the document as either JPEG or PDF files. Once the scanning is done, you can choose to save the soft copy of the document in Dropbox, Sky Drive or even Google Drive. You even have the option of sharing documents on email, Facebook, or other social media tools. You share one file to one platform or multiple platforms with one simple click. This app has literally transformed Android phones and iPhones into free, portable scanners. • Unlike many mobile apps, AirScan Mobile is ad free. Downloads are available in the Google Play Store and the App Store. • AirScan mobile has been praised for being user friendly and convenient. • Moreover, AirScan mobile comes with a built-in voice command which makes this mobile app even more convenient and easy to use and ease of use. 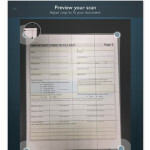 • Rather than paying thousands for an office scanner, the AirScan Mobile is completely free. The latest version 3.0 of AirScan Mobile comes with even more features and options to make scanning user friendly. It has a selection of vibrant backgrounds suitable to every style. This new version is also compatible with the new iPad mini. With all these benefits, AirScan Mobile is a key player in transforming how people use their smart phones. AirScan mobile is on the brink of cutting edge technology and with its constant improvements and upgrades. This dynamic application is making a difference not only, in how people use technology, but how people think about technology. Years ago, mobile phones were relegated to making calls and browsing the internet but it has been proven that the possibilities are truly endless. Working professionals can use their smart phones to scan, store and share documents across many platforms. Nora Jacques is a Marketing Manager and Writer who loves to savor time. She is passionate about connecting people with the optimal resources to achieve their dreams. She shares weekly on her personal blog about productivity, life skills and personal growth. Thanks for sharing the information. I downloaded and found it’s quite nifty and useful.